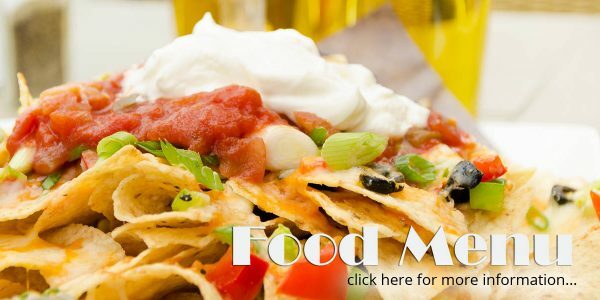 Our menu is packed full of choice from snacks to traditional pub food, pastas, fish dishes, grills and burgers. See our menu for full meal choices. We will be sure to satisfy the most ravenous of appetites. Food is served to all areas including our comfortable restaurant area, the bar, the lobby, front and rear patios and the beer garden. 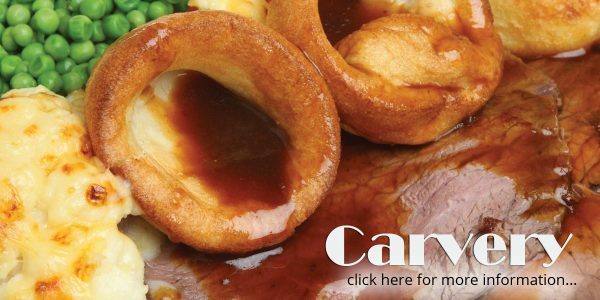 Our popular mouth-watering Sunday carvery is available from 12 noon until late, with plenty of seating. Now also serving carvery on Thursdays, Fridays and Saturdays from 12 noon – 2:30pm and 5:30pm – 8:00pm. Simply relax with friends and enjoy a freshly made coffee and sample a delicious cake or sweet treat from our varied selection of fancies. Welcoming families of all ages we offer a children’s menu, highchairs, bottle warming, baby changing facilities and our outdoor children’s play boat the ‘Beeracuda’.